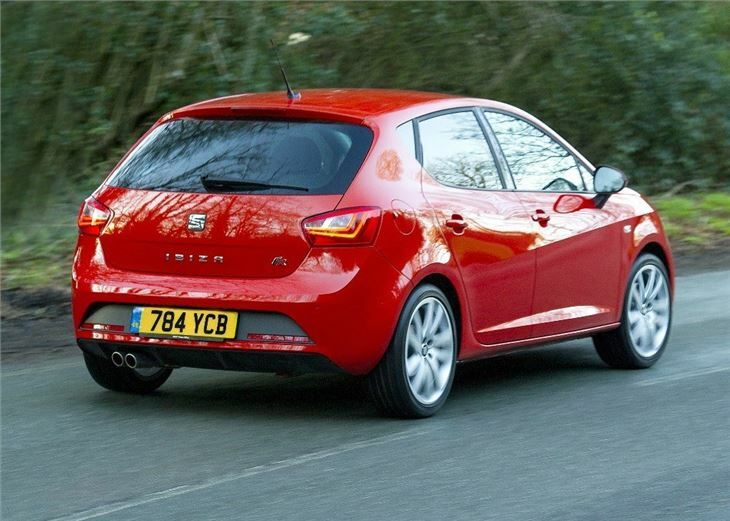 The SEAT Ibiza FR EcoTSI is part of a new generation of warm hatches that are aimed at drivers who want the look and feel of a hot hatch, but without the higher running costs and hard ride that usually go with it. 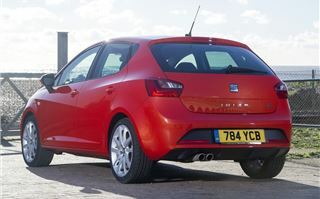 That means - on paper at least - a car like the SEAT Ibiza FR 1.4 EcoTSI promises to be all things to all drivers, with its performance-focused body kit, sports suspension and a turbocharged petrol engine contrasted against a comfort-oriented interior, low running costs and five-door bodystyle. 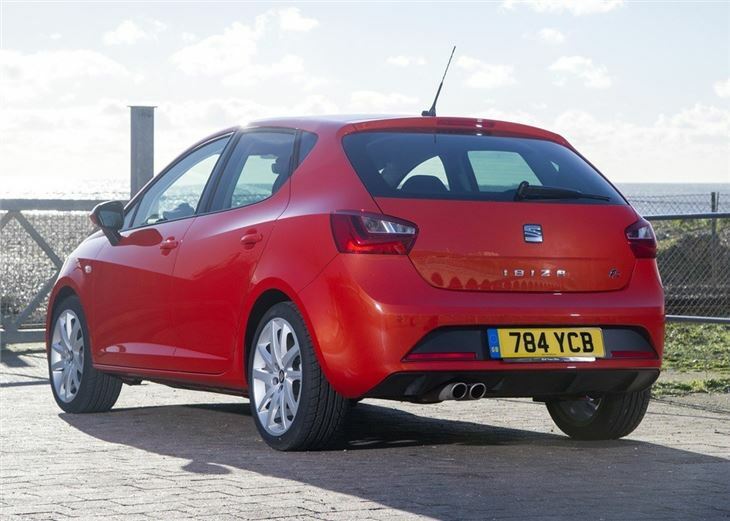 Priced from £16,695, the Ibiza FR undercuts the Cupra by almost £1500, while its 1.4-litre 150PS engine - with active cylinder technology - will return an official 58.9mpg and 112g/km of CO2. That makes the Ibiza FR decent value. The four-cylinder unit is no slouch either. Acceleration from 0-62mph takes 7.6 seconds, while the top speed sits in the upper echelons of 130mph. 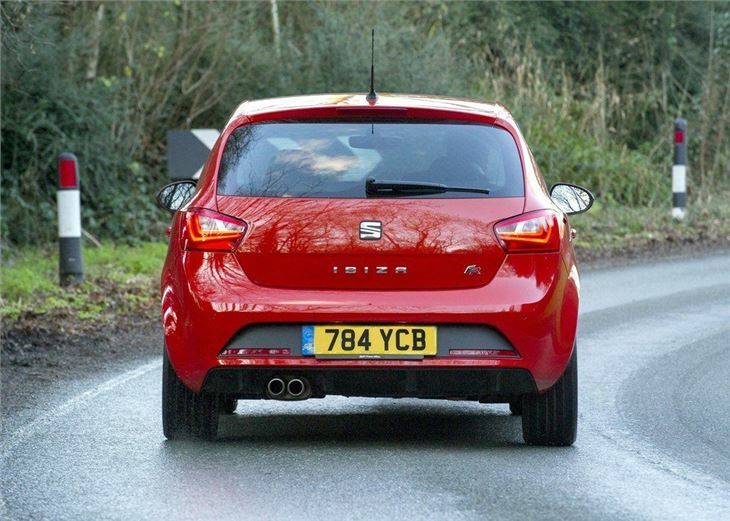 Admittedly, that's no match for either the Ibiza Cupra or Ford Fiesta ST - both will cover 0-62mph in less than seven seconds - but it's important to understand that the Ibiza FR isn't here to smoke the competition at the lights. 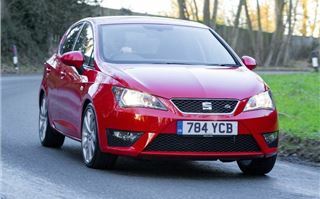 It's designed to provide a subtle taster, without the sub-50mpg fuel economy and current £145 a year road tax. 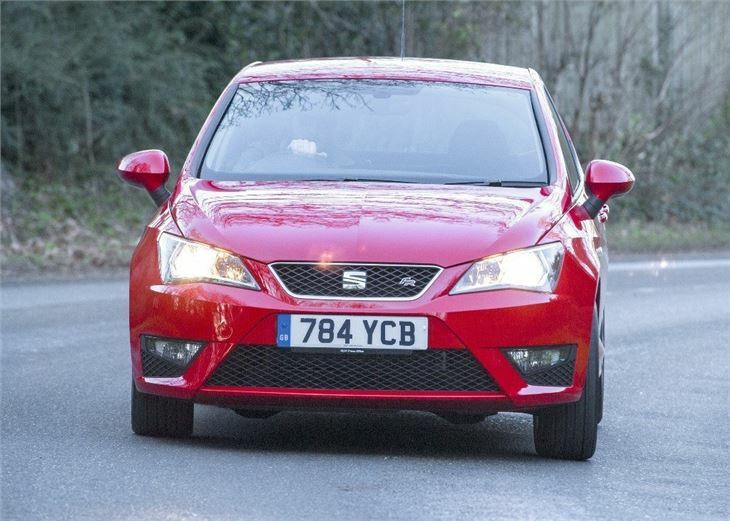 On the road, the Ibiza FR moves briskly, while its six-speed manual gearbox provides smooth and light gear changes that make it easy to access the turbocharged engine's 250Nm of torque, which flows from just 1500rpm. 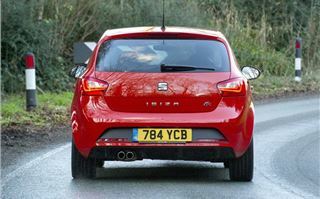 There is a lot of grip too, with the front-wheel drive set-up and sports suspension providing good cornering capability. On the downside, the steering is rather vague and not particularly good at giving feedback, but it's light and responsive enough for the motorway. It also requires minimal effort to make large turns, making it good for urban driving. The large windscreen provides lots of visibility too, which makes parking a doddle. All Ibiza FRs run on sports suspension and 16-inch alloy wheels as standard, however, this combination doesn't unsettle the ride or impact all-round comfort, which makes the Ibiza a good companion on long journeys. All get sports seats in the front and while hard to touch, provide lots of support to the lower back. 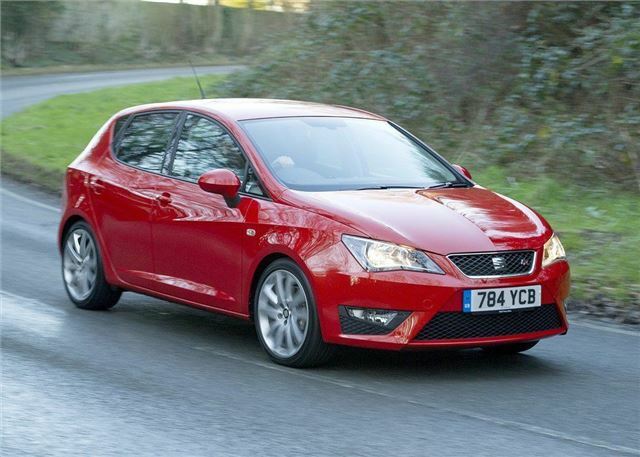 The layout of the interior is neat, but the Ibiza - which has been on sale since 2008 - is starting to show its age. 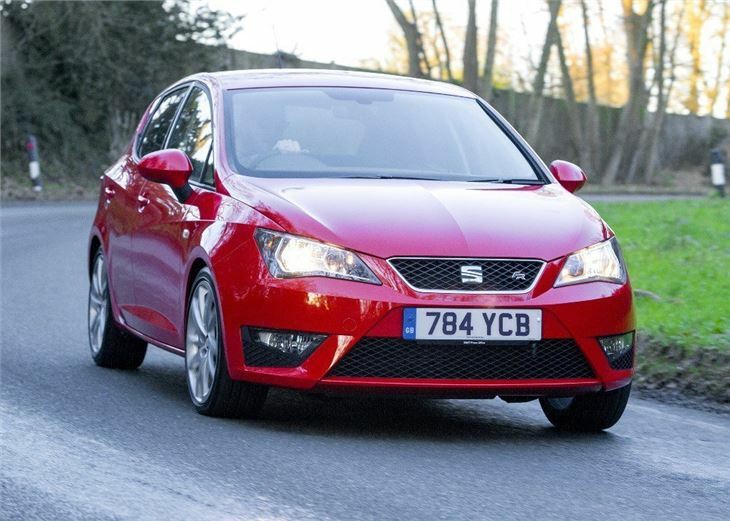 The cabin isn't as modern as some of the Ibiza's rivals, with lots of drab plastics, but at least everything is within easy reach of the driver, with a 5.0-inch colour touchscreen that is simple to use for the radio. A larger, 6.5-inch screen can be added as an option, along with navigation and DAB. 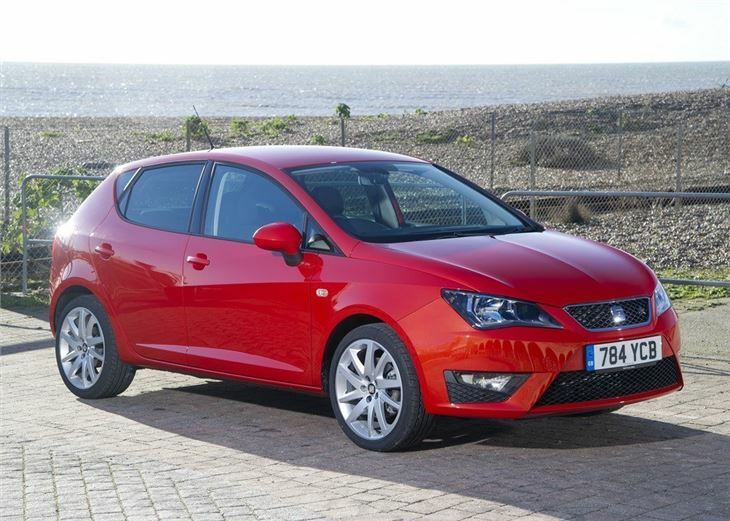 As warm hatches go, the Ibiza FR is a good effort with its comfortable interior and superb 1.4 EcoTSI engine providing genuine reward. Indeed, the 1.4 petrol is extremely refined and efficient, aided by the fact it switches into two-cylinder mode when cruising or in town. However, for all of its merit, the SEAT feels short on quality compared to the class leader. In contrast, the Ford Fiesta Zetec S Red Edition is more efficient - 62.8mpg - costs less to tax and is £150 cheaper to buy. We also think it looks better, while the interior feels more upmarket and modern, with added colour, higher quality plastics and a better infotainment system. 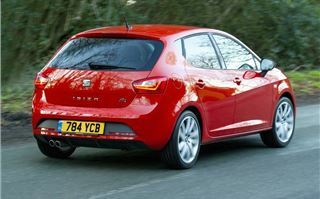 The Ford is sharper to drive too, with its powered steering feeling more responsive compared to the Ibiza. 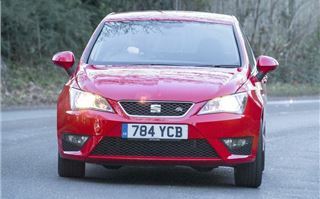 That said, on outright performance, the Ibiza FR is more powerful with an additional 10PS. It will also cover 0-62mph 1.4 seconds quicker than the Ford, which makes it the default option if you prioritise straight-line performance. Personally, we'd choose the three-door Fiesta, but it is a very narrow margin that splits the two. 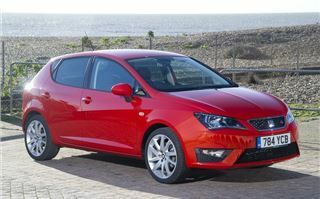 Indeed, the five-door Ibiza FR is a very likable car with a great engine and comfortable interior. However, as with many cars in this class, the sheer brilliance of the Ford is too much to ignore.